In the Application Management section of Central Administration, click Manage web applications. 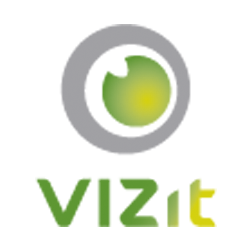 Click to highlight the line for the Web application where you would like to enable Vizit Notifications. In the ribbon, select Manage Features. In the Manage Web Application Features dialog box, scroll down to the Vizit Notifications feature. Select Activate. Once the feature has been activated, select OK in the upper right corner to exit out of the dialog box. Configure outgoing e-mail for your farm or specific web application. Before configuring outgoing e-mail, you must install and configure the SMTP service. Refer to the following article for more information and detailed instructions on configuring outgoing e-mail and installing and configuring the SMTP service: http://technet.microsoft.com/en-us/library/cc263462.aspx. This new button indicates that notifications are enabled on this site. By default the bell is yellow, meaning that you will be subscribed to this thread once you post your comment. By subscribing to a thread, you will receive an e-mail notification of any changes in the conversation. If you do not want to receive notifications or would like to stop receiving notifications, simply click on the bell icon and it will change from yellow to white indicating you are no longer subscribed to the thread. From within Central Administration, select Monitoring. In the Timer Jobs section, select Review job definitions. Scroll down to locate the Immediate Alerts Timer Job for the specific web application you are targeting. In the Recurring Schedule section, modify the schedule to fit your needs.